As a proud half-Mexican, I love Mexican food. Love it. By far, it is my favorite cuisine. Everything about it – from the tacos and enchiladas to the homemade tortillas and beans – I love and simply can’t get enough of. I usually make a Mexican-themed meal once a week at home and have no problem downing a boatload of tacos. While I love Mexican food, I really don’t care for the food of other Latin countries. Yes, I may like an item or two but, overall, it’s just not for me. 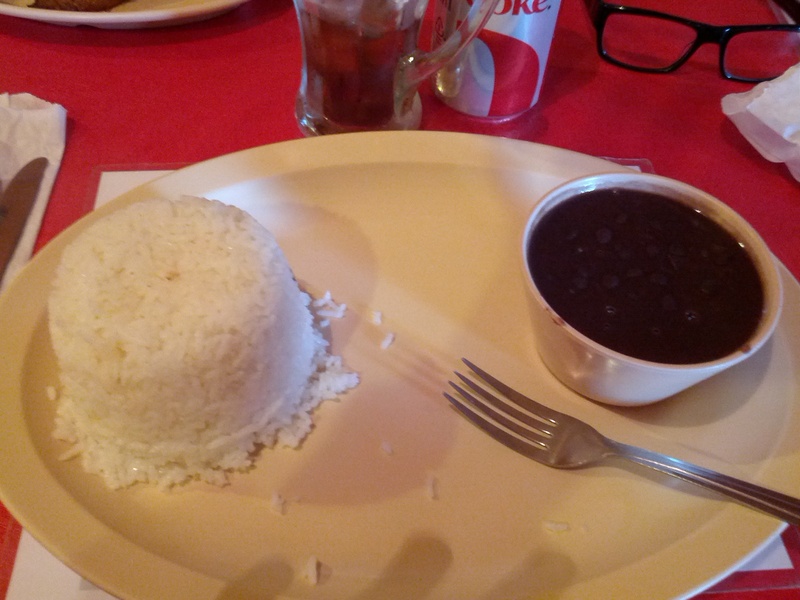 So is the case with Cuban Food…I like 2 things – Black Beans & Rice and Plantains. Other than that, I would have no reason to ever eat Cuban Food. But, let me tell you, those two items are Muy Delicioso. A few weeks back, my team members at work and I went out for lunch. We do this on a monthly basis and the selection at this time, was Cuban Food. I was not overly looking forward to this but, knew I could at least get rice & beans. I’m not a big lunch eater so I wasn’t too worried. We went to The Island Cafe located on Seward in the Industrial Park. The restaurant inside was huge – lots of tables and people eating. We were sat in a side room which doubles as a ‘club’ during the weekends. Our waitress was quite friendly however, I found the overall service to be a bit slow. And, the beverages were served in a can…always a downer for me. We started off with some plantains. 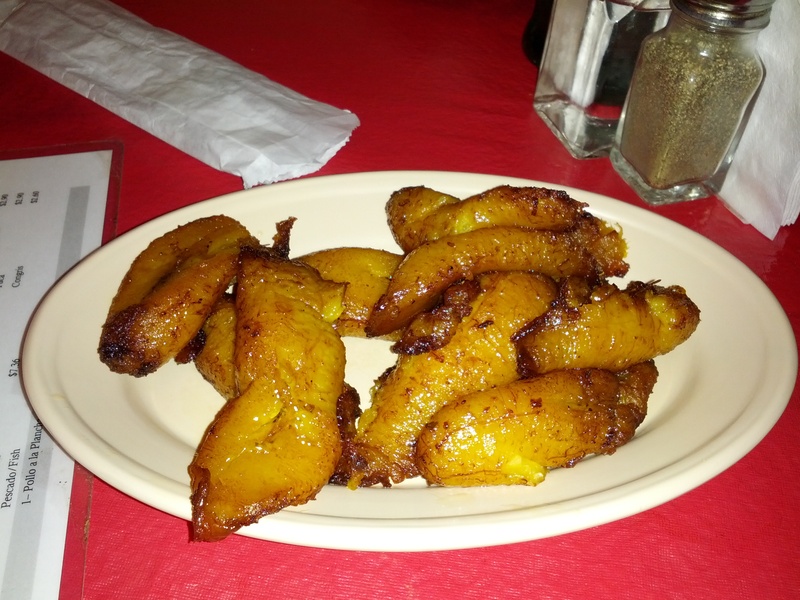 Let me tell you – these were the best plantains I have ever eaten. Oh. My. Gosh. I could have eaten an entire plate of these on my own. Every plantain was cooked to just the right amount – there was a slightly crispy exterior and a warm, soft interior. I found every plantain I had to be just as good as the one before it. Plus, these plantains were big and plump. Each plantain had the sweet flavor and I did not detect any extra seasoning – and none is needed…the pure flavor of the plantain is that good. These were so delicious…just thinking about them now makes me hungry. As for my lunch, I opted for just rice and beans. The two were served in two separate bowls and I mixed them all together prior to eating. When I did this, my entire plate was full of rice and beans. I did not try either item on their own – only mixed together. The first thing I noticed was that these were salty. Ohh so salty. I found the overall flavor of the rice and beans to just be so salty, that the actual flavors were not able to shine. 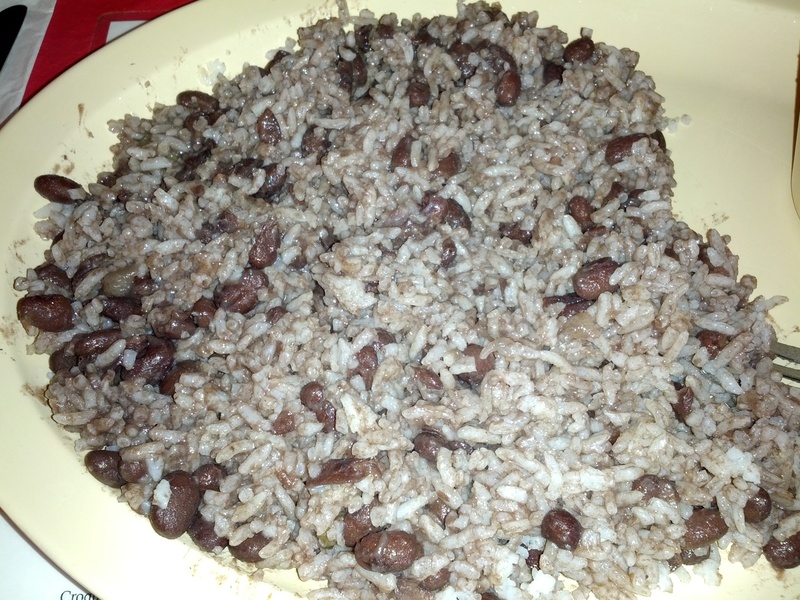 Even with the saltiness, the rice and beans were cooked perfectly…both were quite soft and neither were overcooked. The salty flavor just killed it for me. Yes, I did eat them but yes, I was also regretting it all afternoon as I drank more than my typical over-the-top amount of water. Had it not been for the plantains, I would have counted this meal as a total failure. Rice and Beans are great on their own. There is no reason to add salt and preservatives to them. Bring it back to classic and keep it simple…the flavors would have been way better. Cuban Food is really just not for me. Nothing beats Grandma Rosa’s homemade beans. I have no plans on returning to The Island Cafe. Besides the salty food, your clothes reek of Cuban food after you leave. Lucky for me, I was prepared and brought a change of clothes with me. While the Rice and Beans were a strikeout, I am happy to report that the plantains were Muy Delicioso.